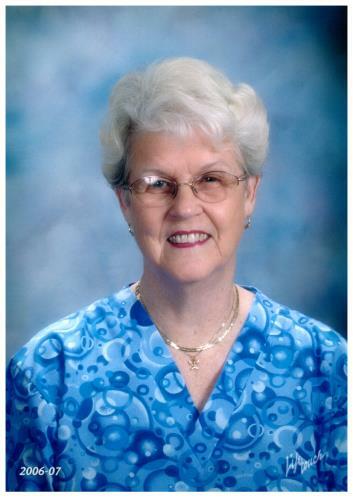 Hazel Pauline “Polly” Simmons Steave, 88, of Chattanooga, Tennessee, went home to be with her savior Jesus Christ on February 7, 2019. She attended Berean Baptist Church and also volunteered and cooked for Berean Baptist Academy. She was preceded in death by her parents, Carl and Hazel Simmons; sisters, Faye Johnson and Fern Slater. She is survived by her husband of 66 years, Johnny Steave; son, David (Lori) Steave; granddaughter, Caitlin Steave; sister, Dorothy “Dot” Broome. In lieu of flowers, donations may be made to Hospice of Chattanooga, 4411 Oakwood Drive, Chattanooga, Tn. 37416. A visitation will be held on Saturday, Feb. 9, from 4-7 p.m. at Chattanooga Funeral Home, North Chapel. A funeral service will be held on Sunday, Feb. 10, at 2:30 p.m. at the funeral home with Pastor Glen Huguemin officiating. Interment will follow at Hamilton Memorial Gardens.